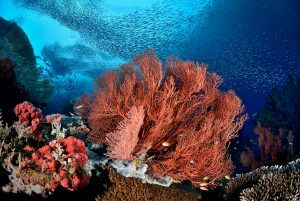 Raja Ampat is famed for its outstanding fish diversity, so it’s sometimes forgotten that the area’s species richness extends beyond the piscine delights. Although I would probably count fishes as my first love, I have a lot of time for crustaceans, and there’s usually a shrimp or crab of some kind that I’m hunting for during a trip. 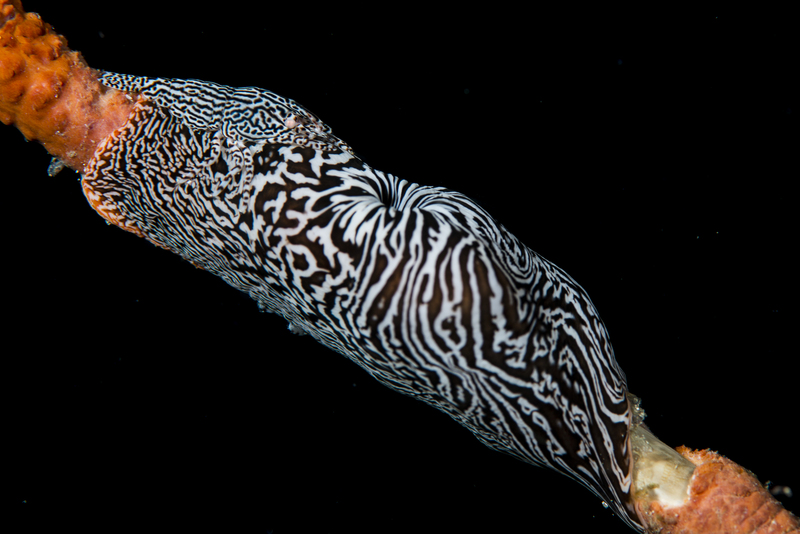 At the heart of the Coral Triangle, I knew that the Bird’s Head’s high biodiversity would make it a great place to seek my latest target, the giant clam shrimp. So, on my recent trip aboard Dewi Nusantara, I spent many hours scouring these massive mollusks for their minuscule residents, leading me to ponder the region’s other crustaceans too. 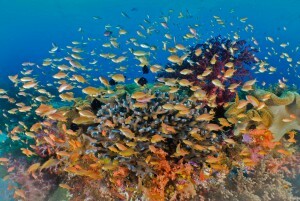 Coral reefs are well known for the huge numbers of species they accommodate. 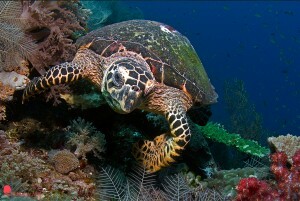 One of the reasons the biodiversity of a reef is so high are the close interrelationships between different species. 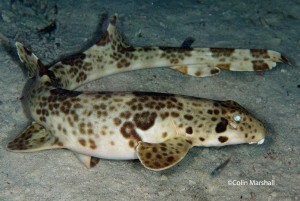 Most are very closely associated with just one species. 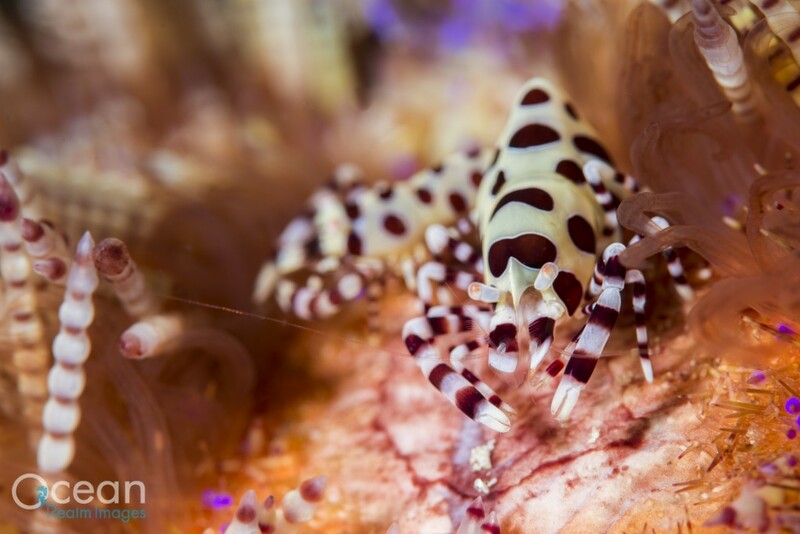 Spotted and spiny porcelain crabs for example live only with certain anemones, Coleman’s shrimps live only with fire urchins, whip coral shrimps obviously live on sea whips and new examples are discovered all the time. 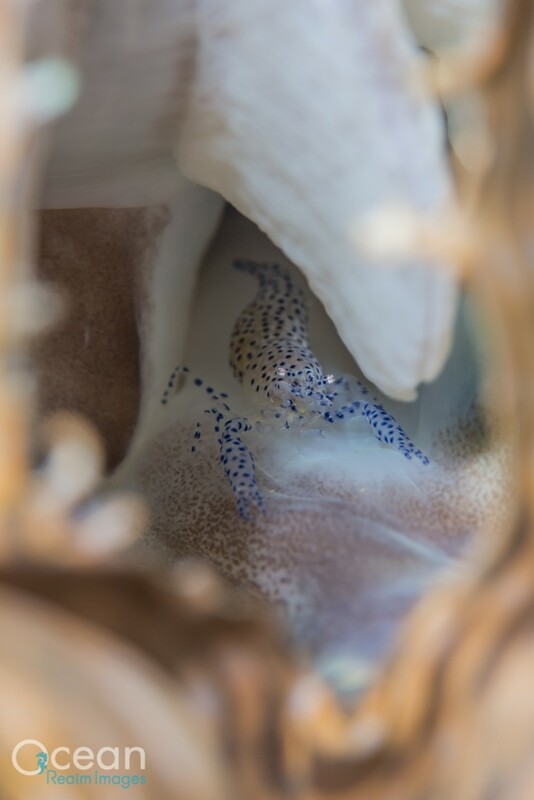 A few years ago, Ned and Anna DeLoach continued their legacy of discovery by finding a type of porcelain crab that lives only on the anemones that live on the shells of certain hermit crabs! 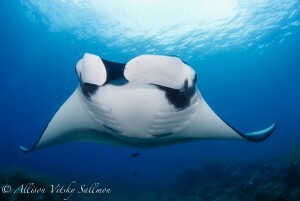 This level of union blows my mind, but is commonplace in Raja Ampat and the Coral Triangle. 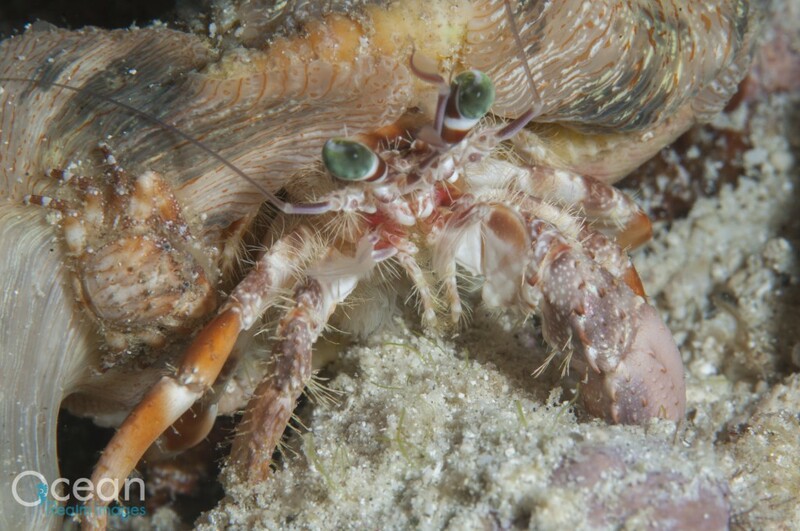 When we talk about crustaceans, we automatically think of shrimps and crabs, but the group is in fact much larger, with many of the less well-known groups often going unnoticed. 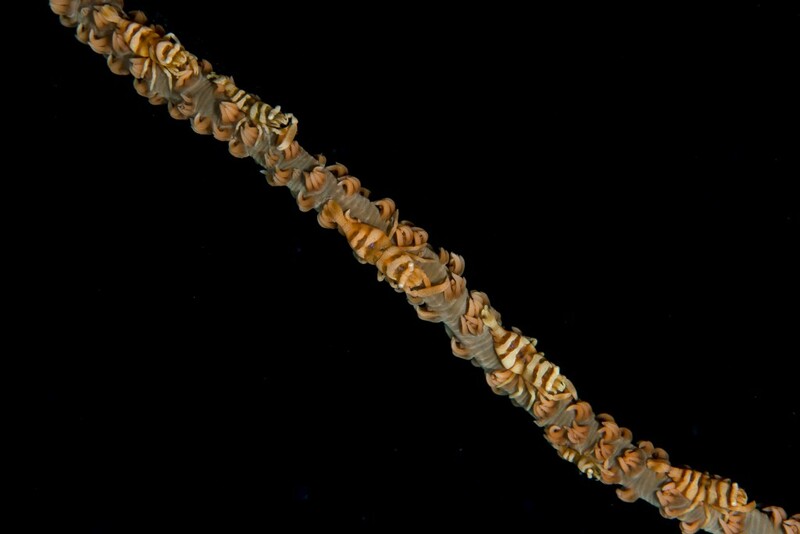 For example, the isopods that stick to and feed on the blood of hapless fishes are a kind of crustacean. One, the tongue-biter cymathoid isopod, lives in a fish’s mouth killing off its tongue and drinking its blood. 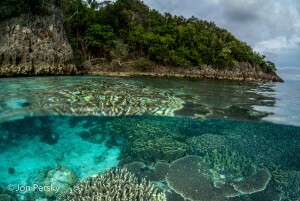 During my most recent trip in Raja Ampat, unusually strong winds from the south prevented us from getting to a few of the sites we usually visit; however, it gave us opportunity to explore some rarely visited northern locations. 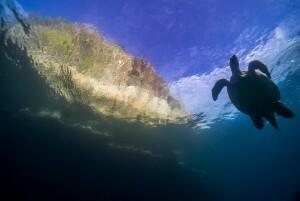 We headed to a small bay, not many miles south of the equator. Here, as soon as we descended, there were great clouds of colonial pelagic tunicates, or salps. 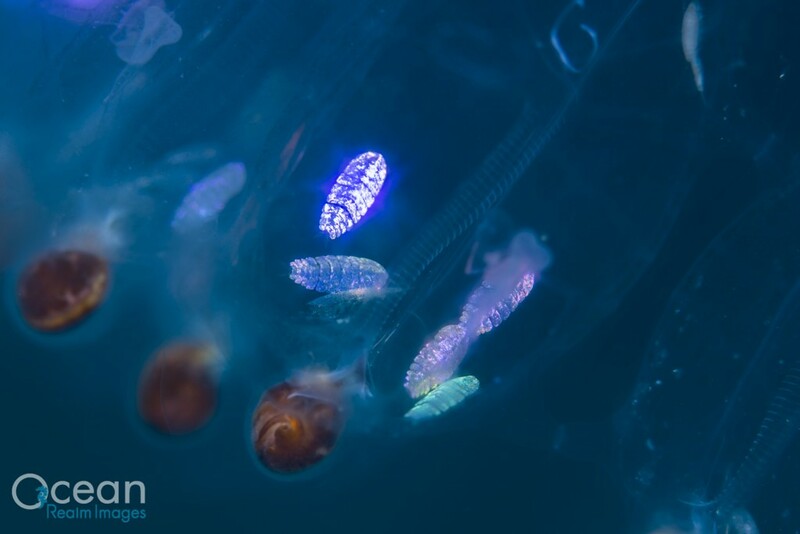 This is unusual in itself, but these salps were accommodating an even more interesting companion. 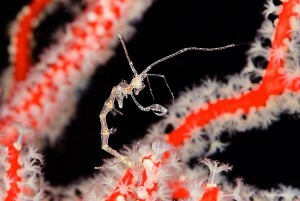 Sea sapphires are yet another kind of copepod crustacean. They’re often mistaken for falling fish scales in the blue water, but this iridescent shimmering is actually light reflected from the crystalline structures on their backs. 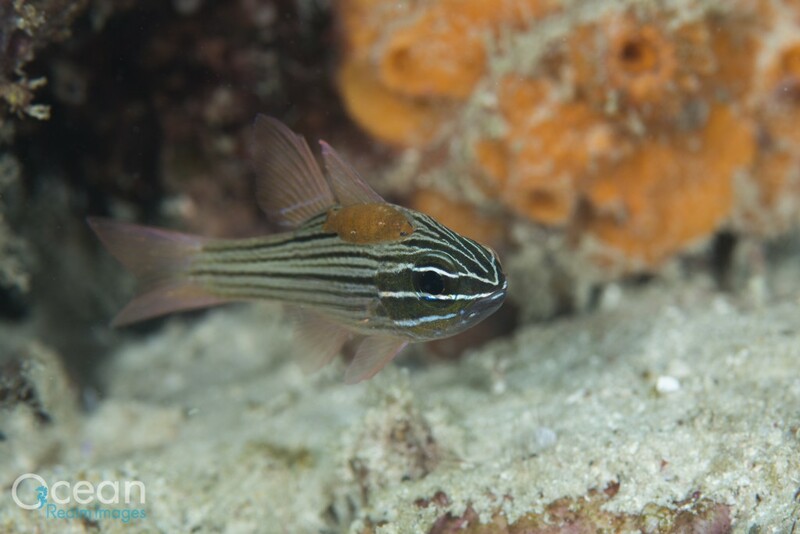 Only the males have this reflective surface, which is used to attract females that live inside the salps. With so many salps in the area, there were a huge number of these sea sapphires too. I found one that had a female and half a dozen male sea sapphires clustered within. 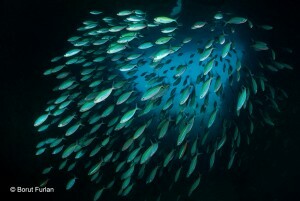 Since the males are usually free-swimming they had almost certainly entered the salp to mate. 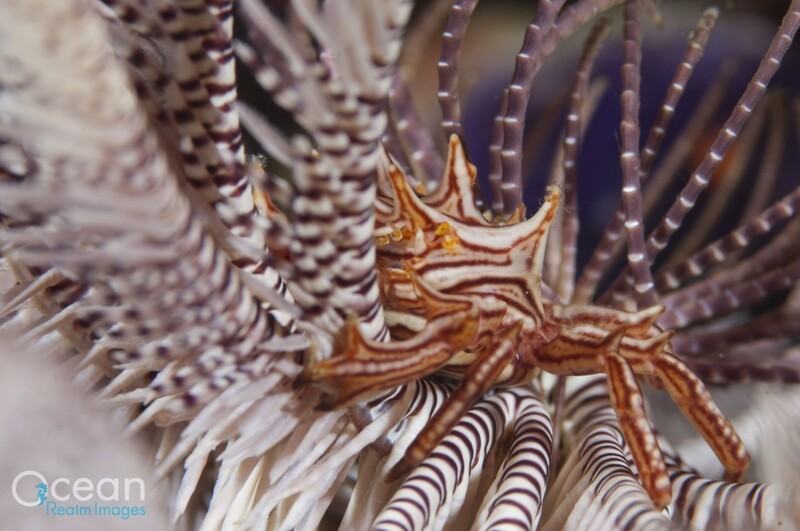 Raja Ampat is so rich in terms of its marine life that it’s unsurprising to come across very rare and unusual crustaceans. Over the years I’ve found harlequin and tiger shrimps, rarely seen cryptic sponge shrimps and thorny crinoid crabs amongst many others. 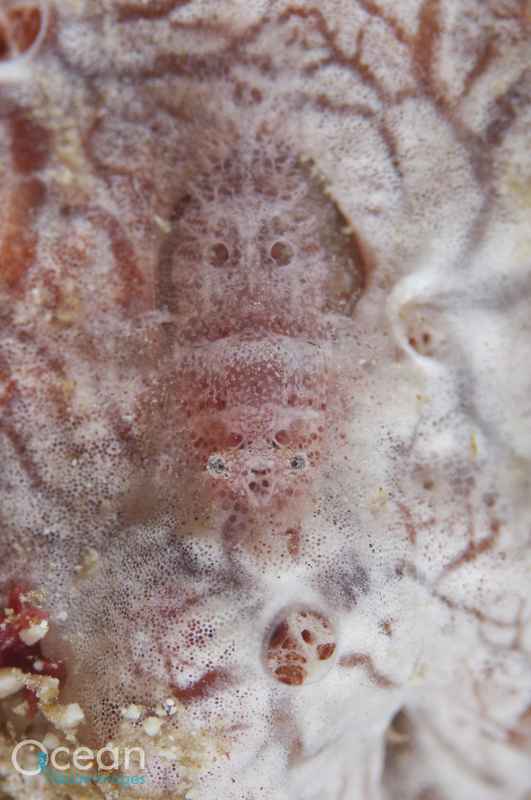 Recently my hunt for the giant clam shrimp was very fruitful and I saw quite a few of these scarcely photographed shrimps all around the region. Obviously living in close association with giant clams, they are not at all easy to photograph. Not only are they skittish and elusive, but their clam home is so sensitive to any localised water movement that is takes a great deal of patience and perseverance to find them. These weren’t the only shrimps that I saw for the first time on this trip. Another, the leopard anemone shrimp, is one that I’ve been hunting for years. As their name suggests, they live only on leopard anemones. Stunning in their own right, these small colonial anemones are just a few centimetres in length themselves, so their tiny and amazingly well camouflaged shrimps are extraordinarily hard to find. Thinking to myself, “Wouldn’t it be lovely if this anemone had one of those shrimps”. I was shocked when it actually did. Well, initially shocked but then I remembered I was in Raja Ampat where anything goes.